If you have always been attracted to scuba dive and willing to discover the underwater world, the Open Water diver (OWD) course is a great option for you! This certification allows you to dive deep to 18m. You may use it around the world and it does not expire. 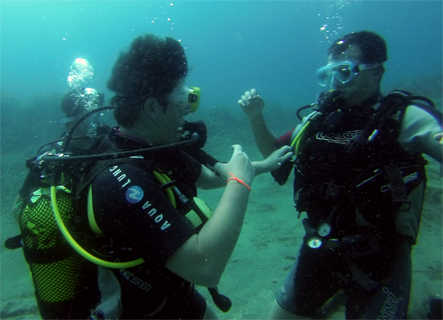 Along the course, you will learn the basic principles of scuba diving. Therefore you start with 5 modules of theory which you will complete on-line at home (e-learning platform)b efore starting with the practical part here on the diving center. All study materials are included. This module includes 5 submodules of practical exercises. They are needed to learn the required basic skills to practice a safe scuba diving. All skills will be trained at sea (instead of in a swimming pool) on a depth going from 2 to 5 meters. This methodology has the advantage that helps you to end up the course much more confident with your diving skills. It includes 4 dives on depths going from 10 to 18 meters.. During the dives you would practice all the skills learned before and use them to explore on real dives. Structure: 5 modules of theory, 2 confined water dives and 4 open water dives. 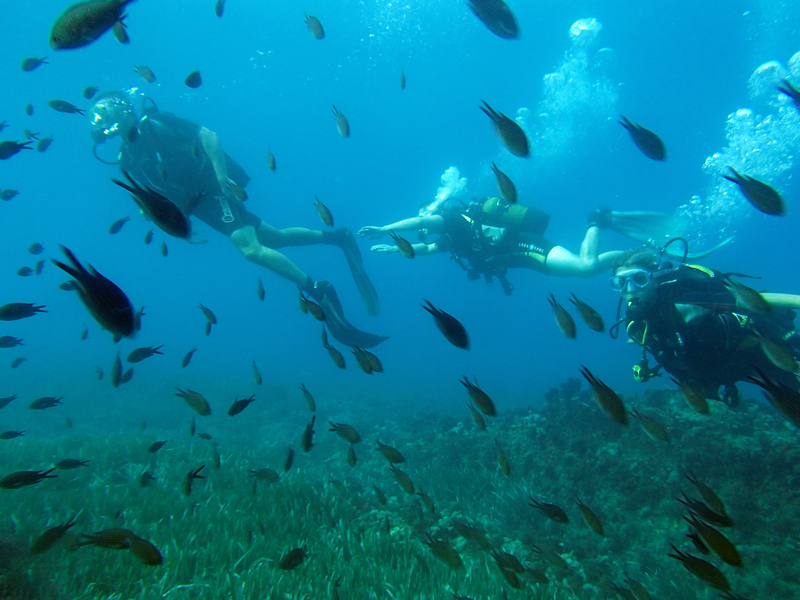 All dives are done at sea on a protected areas full of marine life. Every dive would last at least 45min. Materials: includes all equipment needed for diving, online study kit (or paper manuals), logbook and insurance during the course. 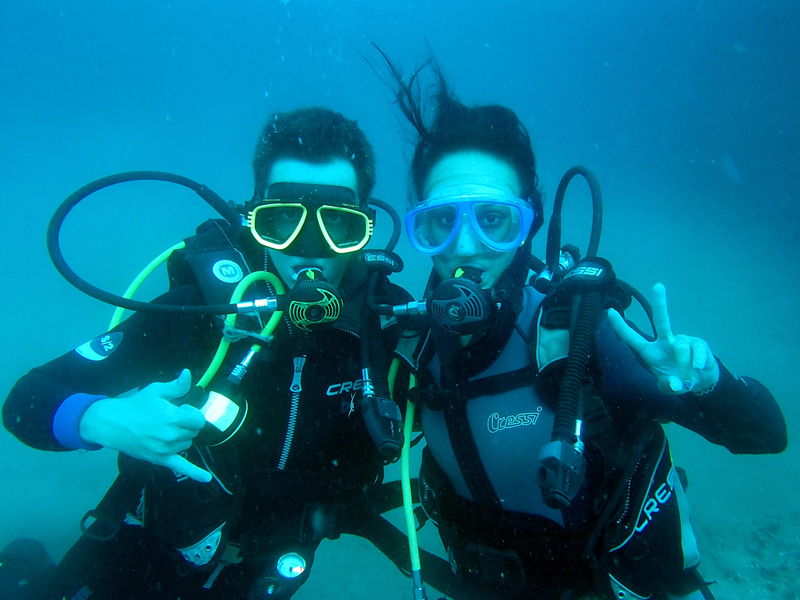 You will need 2 passport pictures and a medical certificate (for diving) to start the course. Duration: around 10hrs to finish the theory and at least 3 days (better 4 days) for the practice. Thoughts: there are many dive centers which teach scuba diving (PADI, SSI, FEDAS, ACUC…) but even more important than the method, when you start diving you should choose a proper diving center or diving school. Ask for references to older students, for what is included on the price, for how long are the dives (it is obligatory 20min. per dive, and we do at least 45min. each, which is more than double time). For safety remember not to choose the cheapest, choose the one that can teach you the most. Because in Branquias we want to make sure that you end up knowing the most, we will give you for free one extra dive. This way you will end the course doing 7 dives. 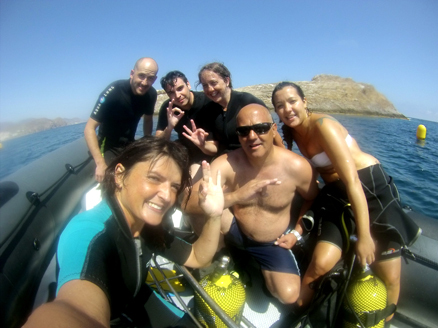 Do not forget the most important thing: We dive for Fun!